WAIST HIGH: The Party's Over Turns 30. The Party's Over Turns 30. 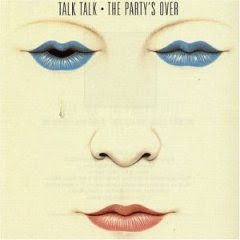 The debut album by Talk Talk, The Party's Over was released in July 1982 and kicks off with the original version of "Talk Talk" which had been released as a single in March (a remixed version was released in October and is the version most are familiar with). Not everyone's favorite Talk Talk album, The Party's Over also features "It's So Serious," "Today," and "Another World."